Breaking news: I have a new diagnosis. 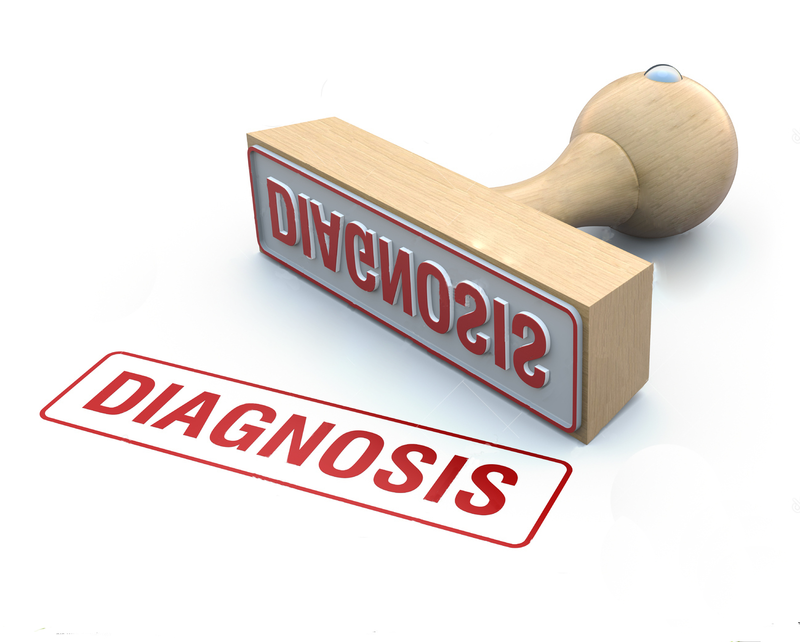 You might think that by now I’d be fed up with the word “diagnosis”. Well, you’d be right. This means that I do have some experience with life-changing diagnoses. In my recent blog posts, I have referred to the fact that I have a lot of pain in my joints and muscles – hips, knees, ankles, shoulders,elbows, wrists, finger joints, you name it. If I stop and scan my body, I actually feel pain in every joint right now. Yes, the pain has been keeping me frustrated but what was more frustrating was trying to figure out why I was in so much pain. Was it a side effect of the radioactive iodine treatment? Was it that I was either hypothyroid or hyperthyroid? Was it because I had gained weight? Without knowing what I had, there was no way for me to move forward in addressing the issue. About a couple of weeks ago, I finally had an appointment with another specialist, a wonderful rheumatologist at St. Michael’s Hospital. She did a thorough examination. She realized that I can extend my joints almost 40% past the average. I always suspected that my thumb went back too far. I presented with intense pain, symmetrically on both sides of both my upper and lower body. Turned out that the issue isn’t with my joints, the problem is within my soft tissue. My diagnosis is fibromyalgia. Down side: Not much is known about fibromyalgia and so it is one of those vague, umbrella terms. Try not to panic or be intimidated by the long words. Processing will take time and may last a while. Tears, hand wringing and exclamations of “why me? !” are normal. Be practical and get the information you need. 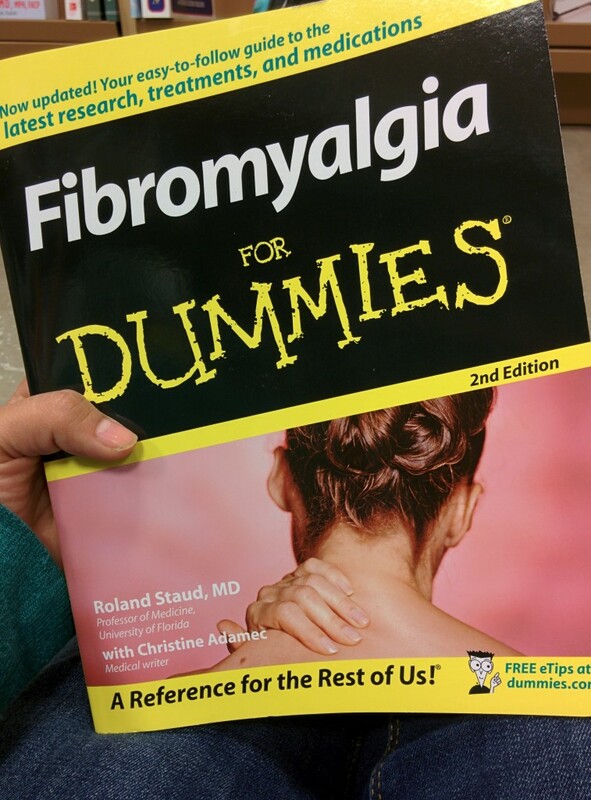 I went and bought a Fibromyalgia for Dummies book. Don’t underestimate the power of jargonless language. This book also has a section on how to explain the health condition to your loved ones, and well-meaning people who will suggest a range of solutions. Gather your support system. This can range from just your cat or dog if you’re a very private person, to your immediate family or all your social media contacts if you wish. Point is, it’s your choice, just think through what works for you. Also, cancer may require a different kind of support and disclosure system from fibromyalgia. The doctor explained how fibromyalgia doesn’t necessarily have to be a life long diagnosis and not to internalize it. Meaning, I don’t want to start looking at myself as a fibromyaligia sufferer first and foremost. It can be managed….diet, stress, exercise etc. all the usual healthy lifestyle information. She gave me a bunch of materials, including some academic literature so I can really look into it if I feel so inclined. Find a pool to work my poor, pain-ridden body. I’m working on this. If anyone knows of any place in my area (free or affordable), please get in touch! Do more yoga and stretching. This will help manage the pain, apparently. I was getting into boxing (for the technique, self-defense and exercise, not the fighting component) but apparently that’ll cause too much stress on my body right now. Stash my emergency special medication safely. I am to use this only in emergencies, when the pain becomes unbearable. We’ll see if and when that next happens. Why did I get fibromyalgia? Apparently, one of the reasons is that it can manifest after trauma, severe illness or injury…and I have had a fairly traumatic year. Just goes to support the fact that health issues tend to compound and get complicated. Cancer is something that almost everyone has heard of by now and often experienced in their network. Fibromyalgia – not so much. If I mention it to someone, there’s a vague look on their face. Much like the vague look on my face when the doctor first mentioned it. It comes down to this, the pain is chronic and real and it is now a reality that I will have to learn to manage. Miles Nadal is a bit on the expensive side for me right now and U of T and the Athletic Centre still cost money. oh dear, sorry to hear this–but good luck, and thank you (as always) for sharing your experiences! My roommates were comparing gym prices awhile ago, and found that the UofT gyms (for pools, either the Athletic Centre or Hart House) had the best membership rates as a recent alum. 🙂 I am looking into scheduling something regular… if so, I will message you with details ! Bloor-Yonge Station is my closest subway right now, but Spadina is still accessible. Is the Miles Nadal Centre expensive? I have never paid for Miles Nadal… because I used to work there so I had access to the gym and pool for free. I can vouch for the cleanliness of their pool though. I would also recommend you avoid the hours from 3-6 pm on Fridays as that’s traditionally when the kids from the afterschool program would go swimming (that was not part of the regular swim lessons).